I don’t think cheese when I eat mascarpone, as it doesn’t have that typical cheese flavour. Mascarpone is a fresh cheese (i.e. not aged) which is why it lacks a strong flavour. Then, what makes mascarpone a cheese? Cheese is made when the casein proteins in milk coagulate, forming curds. These curds are then separated from the whey proteins to give you cheese. 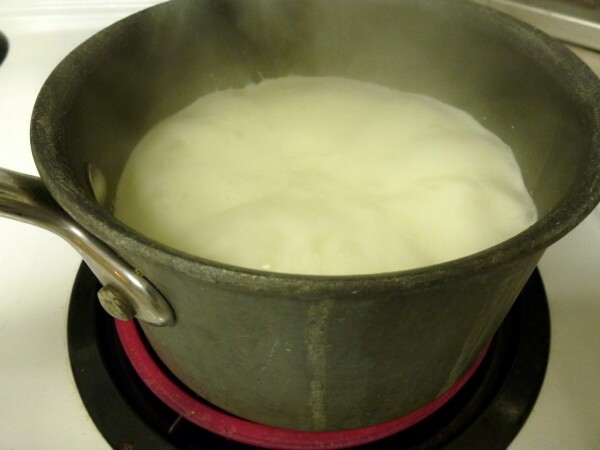 To make mascarpone, the cream is curdled using heat and an acid. 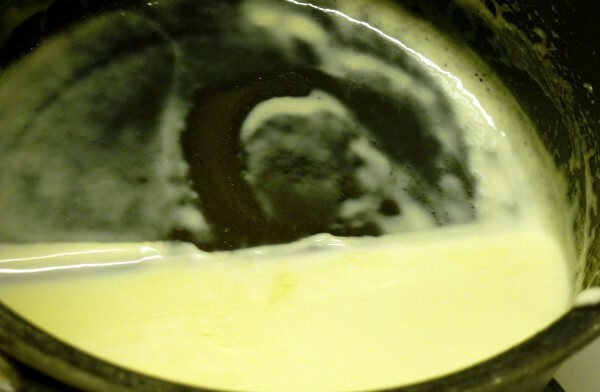 The curdled cream is then strained. Its production process doesn’t make mascarpone sound too appealing, but trust me it is. I first decided to try making mascarpone because, as you may already know, I always get more satisfaction in making things from scratch. I also had some whipping cream left over and had no other immediate use for it. Using leftover whipping cream that would otherwise go bad to make mascarpone is great because store-bought mascarpone is very expensive (usually around $8-12 CAD for one small container.) Luckily, making it homemade is really, really easy! For my version, I adapted this recipe from Baking Obsession. 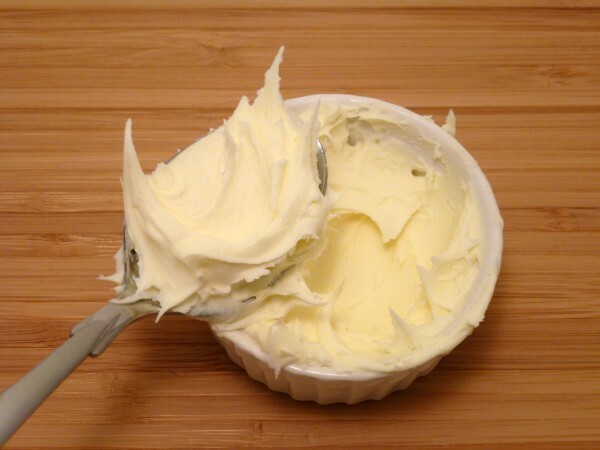 Transfer cream to a bowl, cover, and allow to cool in fridge for 30 minutes. 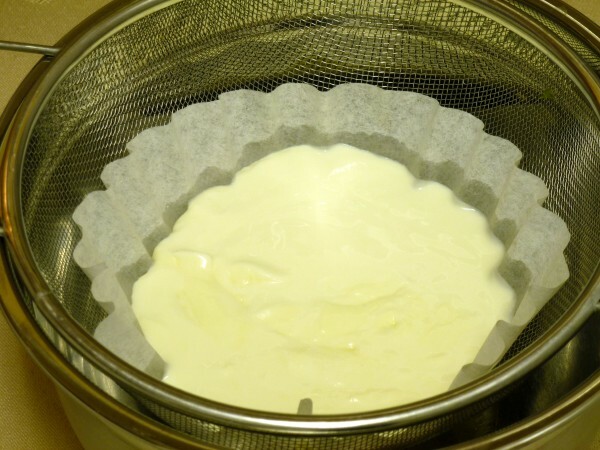 Strain with coffee filter or cheese cloth for 24 hours. It takes a long time for the cheese to thicken to the proper consistency. It may help to place a few paper towels under the filter near the end to help soak up the extra liquid. And there you have your mascarpone. You can do so many delicious things with it now. Stay tuned for Monday’s post to see what I did with my mascarpone.